Food insecurity affects 1 in 9 individuals in Washington State. 1 in 6 are children. Populations that are most affected by food inequity are children, elder adults, people of color, women, chronically ill, economically challenged, homeless, indigenous cultures, people with disabilities, those with substance use disorders, people with mental health challenges and dementia, and those who live in isolated rural settings. In 1998 the Meals Partnership Coalition, (MPC), began to educate the greater community and human service providers, of the need for nutritionally dense, safe meals, using quality ingredients, with an organic ethic; sustainably grown, humanely raised, ethically harvested, and local to the United States, Canada, and Mexico. Meal programs in Seattle serve more than 5 million meals annually to those struggling with hunger in our community. It is estimated that an additional 4 million meals are needed each year. On any given day in Seattle there are thousands of people; children, elders, women and men, living in cars, shelters, or directly on the street. In addition, there are thousands of low-income, housed, Seattle residents who will not have enough food, or the proper types of food, to survive and thrive. Hunger does not discriminate and has no boundaries. The odds are that you or someone in your household knows someone who is affected by hunger. It could be your neighbor, friend, or child’s classmate… someone you know may go to bed hungry tonight. 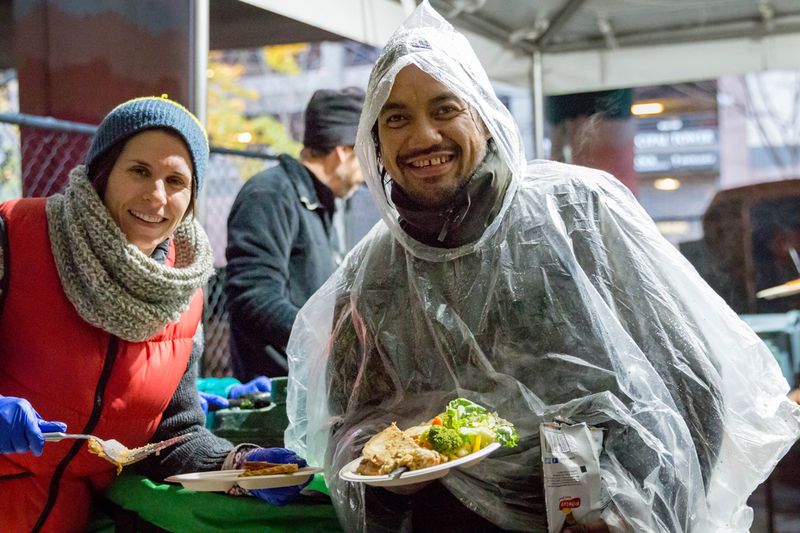 The Meals Partnership Coalition works each and every day to ensure that Seattle meal providers have the resources needed to serve nutritionally dense, culturally, gender, and age appropriate meals to those in our community who would otherwise go hungry. Supporting MPC is an investment in Seattle’s emergency meal system, contributing to food equity and sovereignty, – balance and choice – through the promotion of distributing equitable food resources for ALL community members.